It's my fault not reading terms & conditions thoroughly before I click to join anything, but who would? However it was only recently that I found this MailChimp Knowledgebase article. I may have misunderstood the term "affiliate marketing" that they were referring to. The article says "If you're a blogger, you might link to or promote the website of one of your sponsors. These types of links are fine to use in MailChimp, as long as the URLs you link to haven't been blacklisted." This is exactly what we do - what I do, at least.​ We do care about our subscribers, don't we? "Deal Of The Week", "3 Days Only Sale Starts Today" - we share good information with our subscribers by email, and receive a commission if they purchase by accessing the retailer's website via the affiliate link. "Affiliate marketers are typically rewarded by a third party for recruiting customers." And it doesn't permit them because "there's no real obligation to care about subscriber satisfaction or to maintain a healthy e-commerce relationship with them." 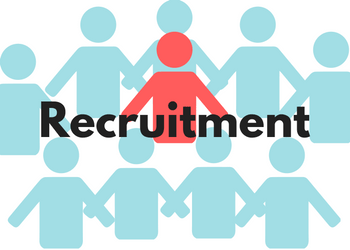 A recruitment is to find people to get some work done for an organisation. So if you recruit a customer, the customer will become... not-a-customer. MLM (Multi-level marketing) is a typical "recruitment" system where you receive a commission by referring others (incl. your customers), expecting them to do some work for you as well as for the organisation. 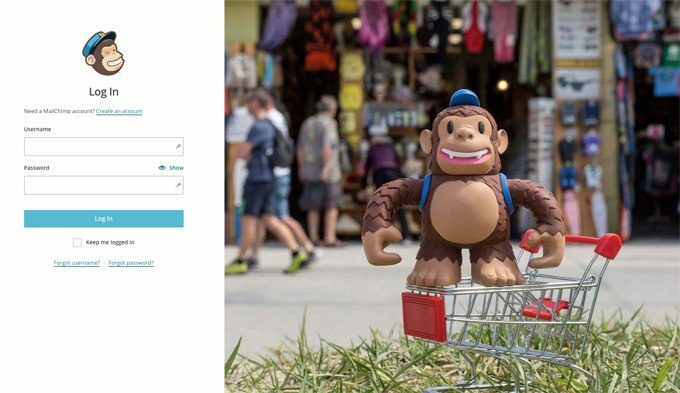 Although MLM is separately listed as a prohibited activity in the ​MailChimp's T&C. Whereas a pure membership referral system can provide benefits to both parties. You'll receive a commission. Your referral (or customer) will enjoy the members-only services that you've recommended and sold. Wealthy Affiliate ​is probably one of the whitest among "make money online" referral systems - with its good training platform, members are generally freakishly happy (including myself). And they are well looked after by their referrer (including myself!) MailChimp should be happy to promote a membership referral like that by email, as there's an intention to maintain a mutual benefit. Thrive annual membership is another one for me - I try to persuade my subscribers to join because I believe it's beneficial. But the membership itself is really a product. Try our revolutionary weight loss method and lose up to 50 pounds in 2 weeks! Join us now! Money just pours in to my bank account every minute, non-stop! Join me now to reveal the secret! In such cases the subscribers (your referrals) will likely to lose their money to the scheme as they join the membership, will receive nothing in return. And you as a referrer/email marketer probably don't care whether they'll live or die there, once you've received your commission. Okay so, despite of the knowledgebase article confirming the approval of affiliate links ​in the email, some affiliate marketers suggest that we should avoid MailChimp completely "just in case" because its T&C don't permit us. ​After a few debates with them, I decided to ask the MailChimp's Compliance Team for further clarification. We're not recruiting anyone, we care about our subscribers, but we, niche marketers are affiliate marketers. Any possibility to review the term "affiliate marketing" as a prohibited activity in the T&C? Assuming the way we place affiliate links in our autoresponder is allowed, keep doing what we're doing now, the last thing we want is for MailChimp to suddenly terminate our contract. The entire purpose of your email campaign cannot be to send affiliate links. The links should be related to your existing content. For example, if your website content is about clothing/fashion, your affiliate links should be to fashion websites. Your subscribers should not be caught off guard with the content they receive from you. Although the second point does make sense, it seems irrelevant to the question. If your website content was about making money online, but sent an email with affiliate link to a scammy join-today-millionaire-tomorrow scheme, that would be a real "recruitment". Surely MailChimp would not allow that. The Compliance Team also sent me a checklist for reference - Examples of Compliant and Non-Compliant Lists, and would like to ask the users the following questions to determine whether their account is a good fit. How do you collect recipients? Online signup form, collect offline, or purchase from third parties? Prior to sending through MailChimp, when was the last time you sent to this list of recipients? Before you had MailChimp, how did you handle your bounces and unsubscribes? Since anyone can join MailChimp for free initially without any approval process, at what point do they ever ask these questions...? 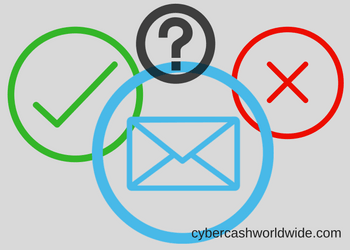 But understandably the checklist is there for MailChimp to protect themselves from sending out bulk spam, which could potentially be exposed to even more harmful activities. Are We Allowed To Use MailChimp? So to sum up, MailChimp allows content marketers / niche marketers who have collected subscribers via their website opt-in form to earn affiliate commissions using their email newsletters or autoresponders. They prove to be trustworthy enough to build up their followers (rather than purchasing email addresses from third parties). A trustworthy, successful niche marketer would not risk losing their followers by sending out "affiliate link only" emails with no consideration. As long as we're loyal to our subscribers, just as they're loyal to you, we are allowed our "affiliate marketing" with MailChimp. I take it this way, and I hope you agree. 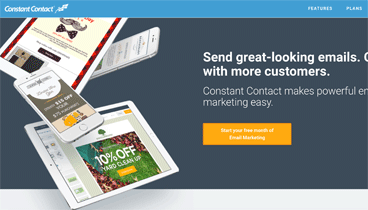 Constant Contact Review: What is the Best Email Marketing Service?